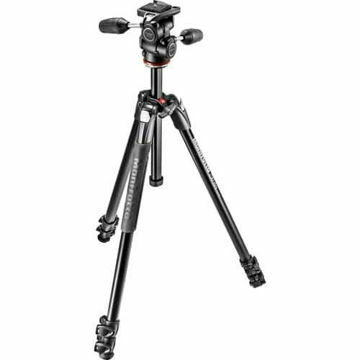 The Manfrotto MK190XPRO3-3W Aluminum Tripod with 3-Way Pan/Tilt Head combines the MT190XPRO3 tripod legs with the MHXPRO-3W 3-way pan/tilt head. 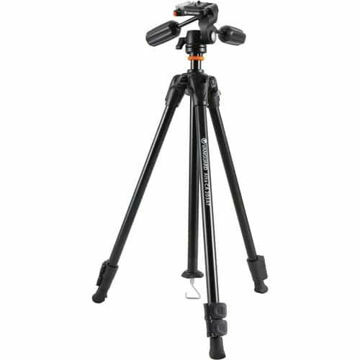 The tripod has a load capacity of 13.2 lb, extends up to 68.1", and folds down to 28.4" for transport. 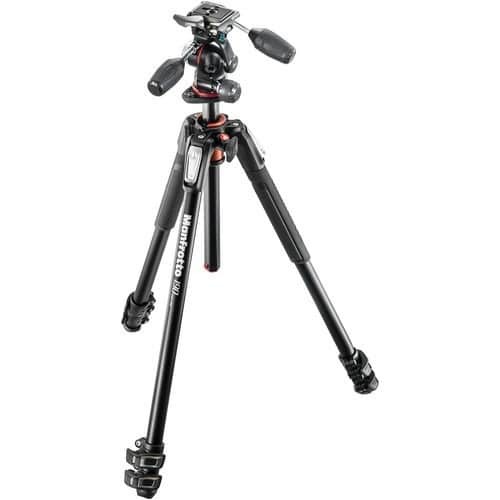 The Quick Power Lock System allows you to completely extend the tripod legs with one hand. Once set up, you can use the tripod's rapid center column in standard vertical mode or swing it into horizontal position like a boom with Manfrotto's 90° column feature to get your camera down to only 3.5" above the ground. You can attach an extending arm or bracket to hold lights or reflectors via the Easy Link plug built into the tripod's spider. 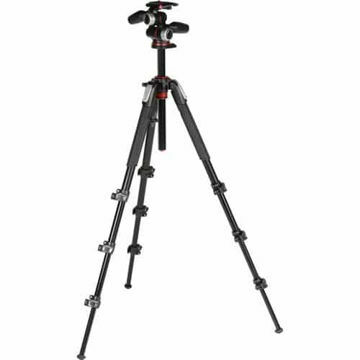 The MHXPRO-3W atop of the tripod is a compact pan/tilt head with retractable handles that can be extended as needed. Two knobs control the friction for the front-to-back and side-to-side tilt, allowing you to fine tune the movements based on the weight of your gear. Three leveling bubbles ensure your composition is level on all axes. A 200PL quick-release plate with a 1/4"-20 camera mounting screw is included.